It was time for some of the world’s best tennis players to relax last night as they enjoyed the Dubai Duty Free Tennis Championships ATP Players‘ Party in the gardens of the Jumeriah Creekside Hotel. 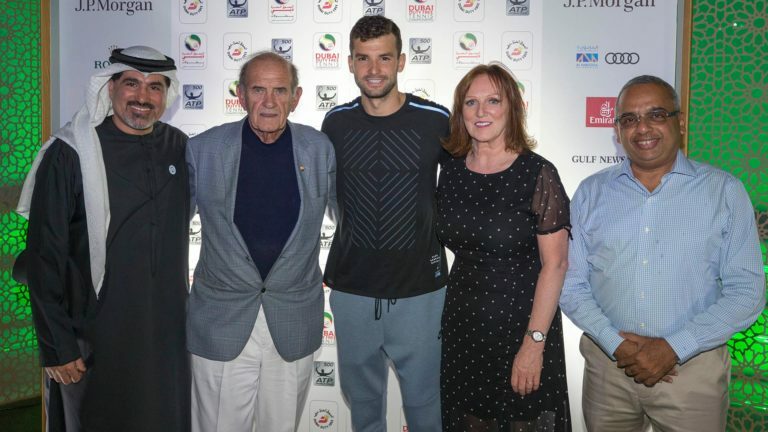 The top three seeds – world number four Grigor Dimitrov, recent Montpellier winner Lucas Pouille and 2018 Auckland winner Roberto Bautista Agut, along with Stefanos Tsitsipas, Marcos Baghdatis and Jean-Julien Rojer were among the guests that mingled with Dubai Duty Free dignitaries and tournament sponsors. Guests were treated to fantastic entertainment, Arabic themed activities and wonderful hospitality.